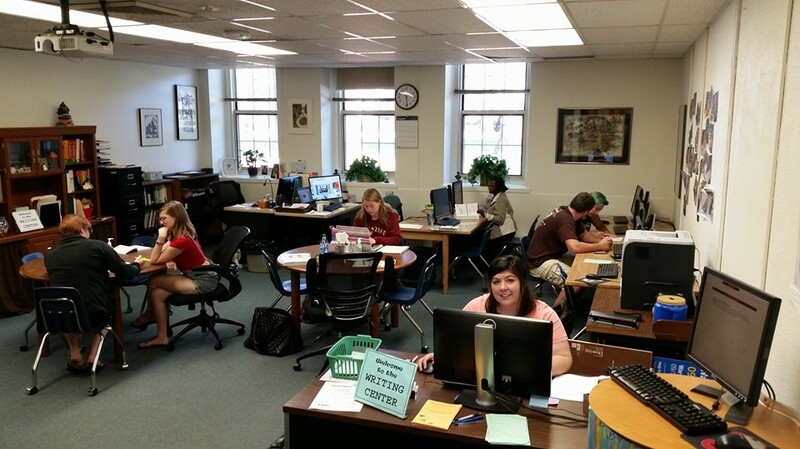 The Writing Center: we're not here because students can't write; we're here because they do. We are a student service at the University of Central Missouri (UCM). Located in the Learning Commons on the 3rd floor of JCK Library, the Writing Center is a unique entity. The Center takes on the personality of those working, so from year to year the atmosphere grows. Students drop-in to get advice on their papers - no appointments necessary. Consultants from various majors can look over students' papers for content, organization, and grammatical errors. All students are welcome - from all backgrounds, ages, countries, and majors. 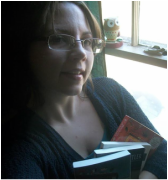 Heather fell in love with language and fantastic worlds as a child reading J.R.R. Tolkien with her father. In the years since, she has earned a bachelors degree in English, taught composition at the University of Central Missouri, presented a paper on hula hoops at an academic conference, and mothered a duo of book-loving heroes. Her academic work focuses on embodiment, feminism, and fantastic literature ranging from fairy tales to science fiction. Outside academic space, she enjoys table top role playing games and dancing. ​Taylor is a third year student at UCM who majors in marketing. She is a part of the Alpha Phi sorority and enjoys watching sports in her free time. Her dream job is to do social media marketing for the Kansas City Chiefs. She always has a smile on her face, so don't be afraid to say hi to her on campus! ​Noelle is a senior at UCM and is majoring in fashion merchandising with a minor in marketing. She sings and plays the guitar, so on top of seeing her at the Writing Center, you may also see her performing in student showcases or talent shows around campus! She also has an unhealthy obsession with avocados and the TV show Friends. ​Elan is a cellular/molecular biology major in his fourth year of college. 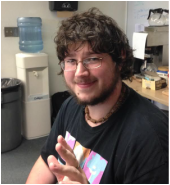 He really enjoys the Writing Center for its atmosphere and accessibility, and he also enjoys talking to other people who work there. Among his interests are video games and reading, but also less common activities such as knitting and metal working. being outdoors, traveling, and watching Cardinals baseball. Ayrun H. is an English and sociology double major at UCM who studies transatlantic modernist literature and critical theory. He is currently researching fashion and class-normative sexual desire. Michael discovered his passion for writing when his friends in high school persuaded him to write most of their essays (he knows better now). He is a communication studies major, with a minor in both theatre and digital media production, so talking is obviously his strong suit. A wannabe rock star, you can catch Michael's pathetic singing and guitar skills at venues all across campus. Karyna is a senior at UCM who majors in psychology and minors in music. She likes to sing, write music, and play the french horn. She is currently the director of RainbowTones, the official a Cappella group on campus, and is the one who created this blog. You're welcome. 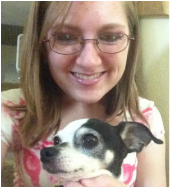 ​Julia is an English major also earning a Technical Writing Minor and Creative Writing Minor. She is the President of Sigma Tau Delta English Honors Society. 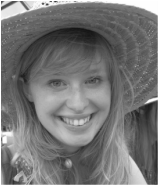 Julia is also a poetry and prose writer who reads her work at local events such as the Old Drum Open Mic nights. She will be graduating this May 2017. ​Leah is a nursing student with a Spanish minor who loves language, travel, and people. She plans on becoming an obstetrical nurse and eventually a Certified Nurse Midwife and traveling to every Spanish-speaking country in the world. 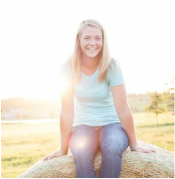 Paige is a junior at UCM studying high school English education. She is an active member of the school's concert choir, holds the correspondent position in Alpha Gamma Delta, and is an Academic Responsibility Coach. She is an avid reader and writer, and she loves to paint and knit. ​Alex is an English major with a minor in both Creative Writing and Women & Gender Studies. She has fallen in love with languages and writing and hopes to one day write her own book. She is very interested in learning about other people and their respective religion, sexuality, and culture. Her hobbies include gaming and cosplay because nerds rule the world. She also really loves lizards.